Either you love this stuff or you don't.This one is a find. It starts fast and then speeds up. 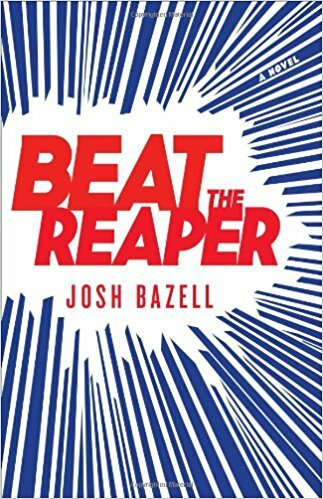 What others thought about "Beat the Reaper"
Dr. Peter Brown is an intern at Manhattan's worst hospital; Pietro "Bearclaw" Brwna is a hitman for the mob. Pietro "Bearclaw" Brwna is a hitman for the mob, with a genius for violence, a well-earned fear of sharks, and an overly close relationship with the Federal Witness Relocation Program. More likely to leave a trail of dead gangsters than a molecule of evidence, he's the last person you want to see in your hospital room. Now, with the mob, the government, and death itself descending on the hospital, Peter has to buy time and do whatever it takes to keep his patients, himself, and his last shot at redemption alive. To get through the next eight hours - and somehow beat the reaper.